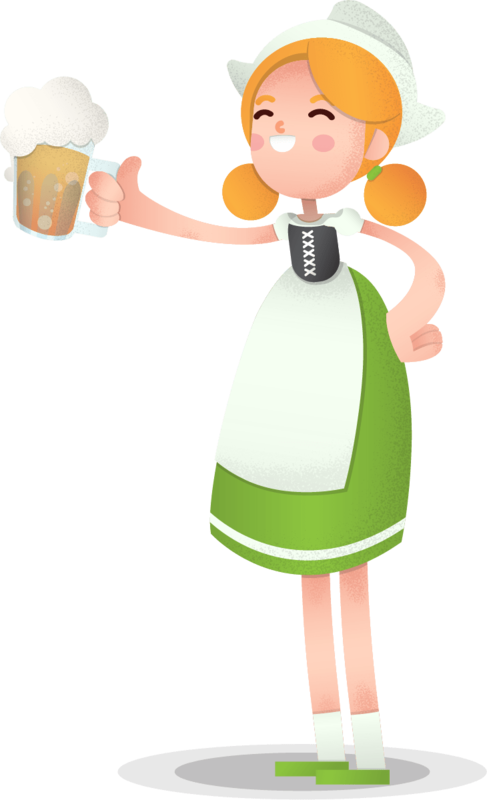 This Oktoberfest Girl Vector Character holding a glass of beer will make your designs even more attractive for sure. You can download this charming Vector Girl from Germany for free by clicking on the download button below. In the downloadable .zip archive you will find .ai, .pdf and .png.